Jalapeno Poppers – One Half Indian. In the past when I have made jalapeno poppers, they have been stuffed with cream cheese and wrapped in bacon. The bacon wrapping made it so that the peppers were fabulous no matter what was stuffed inside. I wanted to make the poppers for the Super Bowl which we were watching with my vegetarian half of the family, so I needed a non-bacon version. My previous filling of just cream cheese would definitely not cut it. This improved jalapeno popper makes me not even miss the bacon. Carefully cut each jalapeno in half so that each half will be a large enough boat to hold the cheese. Remove seeds and ribs. 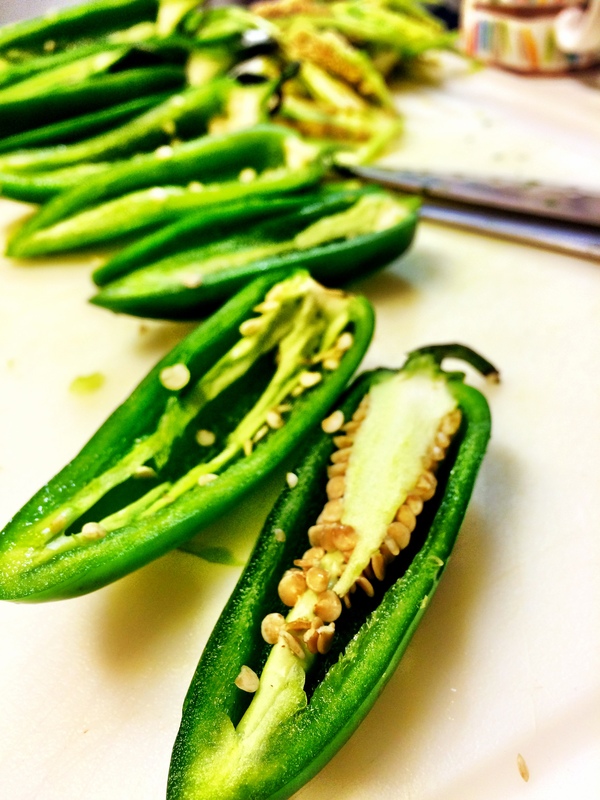 If you like a spicier jalapeno popper, leave some of the seeds and ribbing. 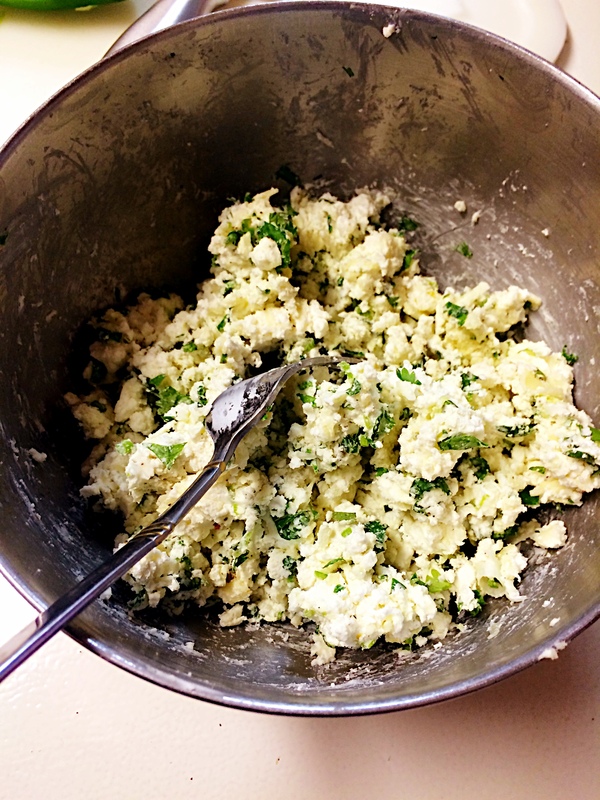 In a medium mixing bowl, combine cream cheese, goats cheese, pepper jack cheese, cilantro, onions, and salt and pepper. Mix together to combine ingredients. Spoon the ingredients into the jalapeno boats so that each boat is stuffed full. Bake the poppers for 15-18 minutes or until golden brown and bubbly.